Our friendly staff and technicians are here to serve you any time of day. 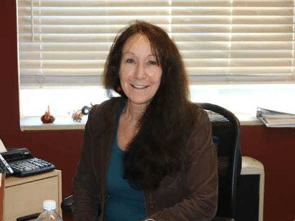 Learn more about the Rosenthal team below! As a 3rd generation plumber, I am very proud of this trade and industry. Coming up through the ranks over the last 25 years has taught me a lot. I value our roles as plumbers and am a huge advocate of creating an environment for success and growth. My family has been serving the Santa Cruz and San Jose markets since the early 60s. Our focus is on customer service and creating an experience that is superior to any other company. As we achieve this as a team we all succeed. I have been fortunate to be part of the Rosenthal team now for near 14 years. The entire staff from owner, office, to field techs make working here such a pleasure. I’m not sure why but my newest favorite color is burnt orange. Spending time with my family, especially my 3 sons brings me the most joy but I do love hiking, skiing, gardening, and an occasional binge on Netflix. 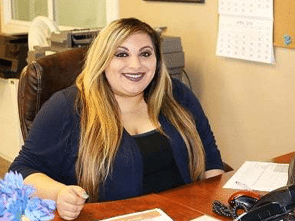 Selina has been with the company for over 4 years. She has learned so much in this trade and continues to learn something new every day. She loves being a part of a company that is continuing to grow. She enjoys spending time with her family on the weekends and attending concerts on her free time. Her favorite band is The Black Keys! Her favorite color is purple & favorite animals are elephants. 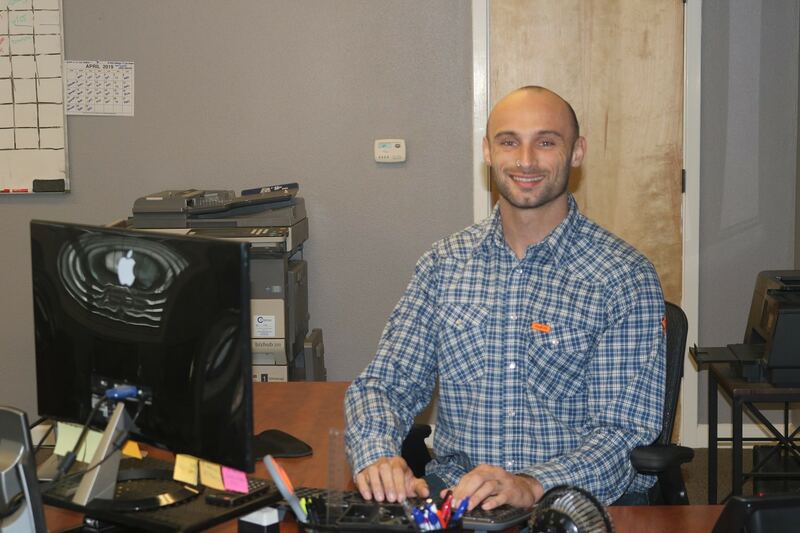 Deven is new to the plumbing industry, but he has a passion for customer service, fixing things, and helping others. He is originally from San Jose, but loves Santa Cruz and all that it has to offer! In his free time he enjoys playing basketball, surfing, hiking, and anything outdoors. His favorite color is blue, and his favorite animals are dogs. Matthew is a California native. He has been with the company for over a year now. He enjoys spending time outdoors and being active. Matthew has always been a tinkerer from taking apart toys in preschool to working on automobiles and electronics now. His favorite color(s) are Neon green and neon Orange. If forced to pick one he would reluctantly pick green but just by a hair. 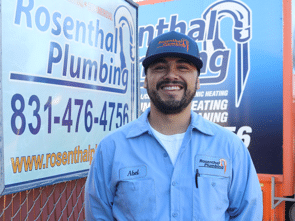 Abel has been working with Rosenthal Plumbing for about 3 years. His favorite thing about working here is the great staff and friendly faces. Three words that describe Abel are: positive, humble, and GREAT. His favorite, self-named, color is Wu-Tang green. His favorite animal is an elephant, and in his free time, he enjoys watching x-treme sports. 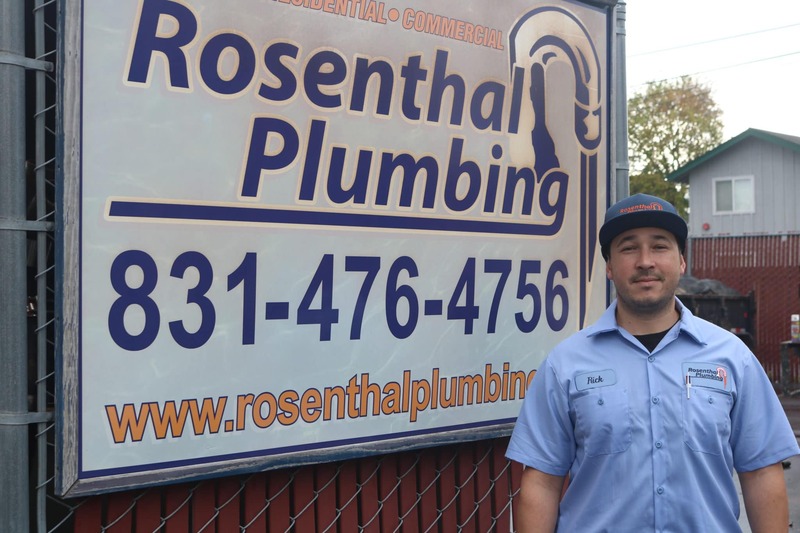 Brandon has been with Rosenthal Plumbing for 2 years now. One thing he enjoys about the plumbing industry is helping people. He's always been a hands on guy that likes fixing and putting things together. 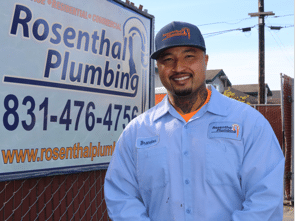 Going from working as a correctional officer for 7 1/2 years to a plumber has been a great move because he enjoys seeing customers happy when fixing their plumbing needs, rather than seeing inmates all day. His favorite color is red. On his free time he enjoys working out, bike riding/dirt bike riding, and hanging out with his family. CJ started learning this trade 14 years ago, with his father and brother, when he was just 12 years old! On his free time he enjoys anything that has to do with nature or working on his paper for his research project. He enjoys diagnostics and being able to fix stuff. He loves a good challenge. 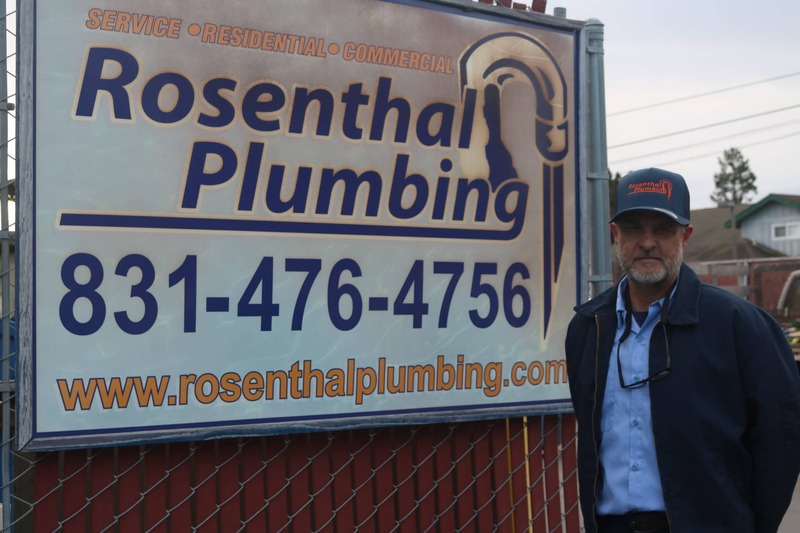 Peter has been in the plumbing industry for 19 years and with Rosenthal Plumbing for about 4 years. 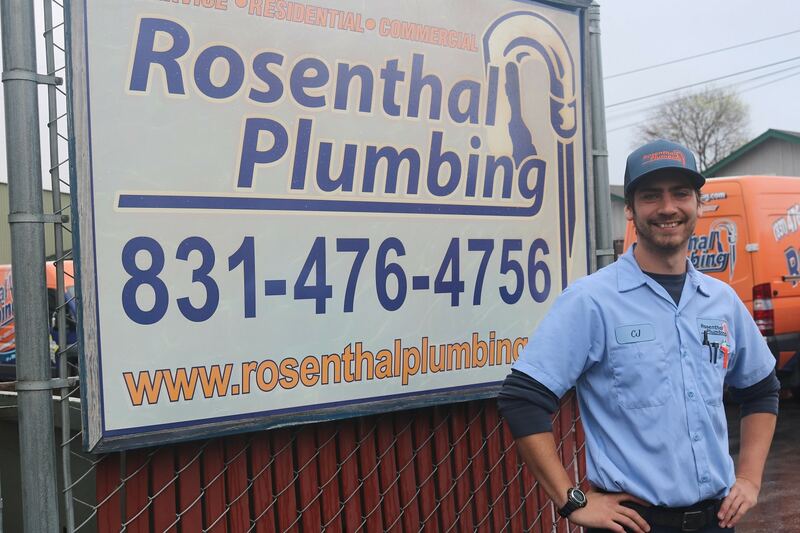 The thing he loves the most about plumbing is building relationships with the customers and helping them. His favorite color is white. On his free time he enjoys surfing the waves in beautiful Santa Cruz and spending time with his children and wife. 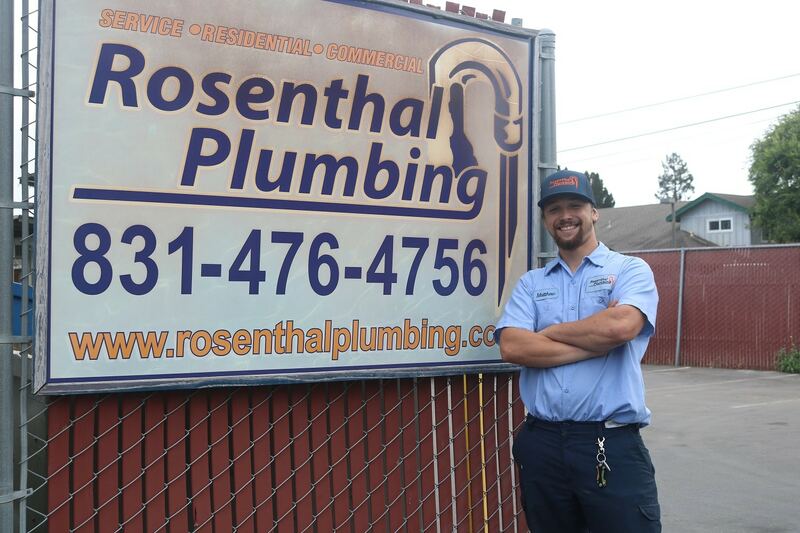 Rick is new to the Rosenthal Plumbing team. He was born and raised in the bay area. His favorite color is red and favorite animal would have to be a Bengal tiger. On his free time he enjoys paddle boarding in beautiful Santa Cruz. 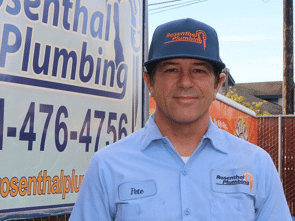 Rick chose the plumbing industry because he is able to work with his hands constantly and is able to help customers with their plumbing needs. 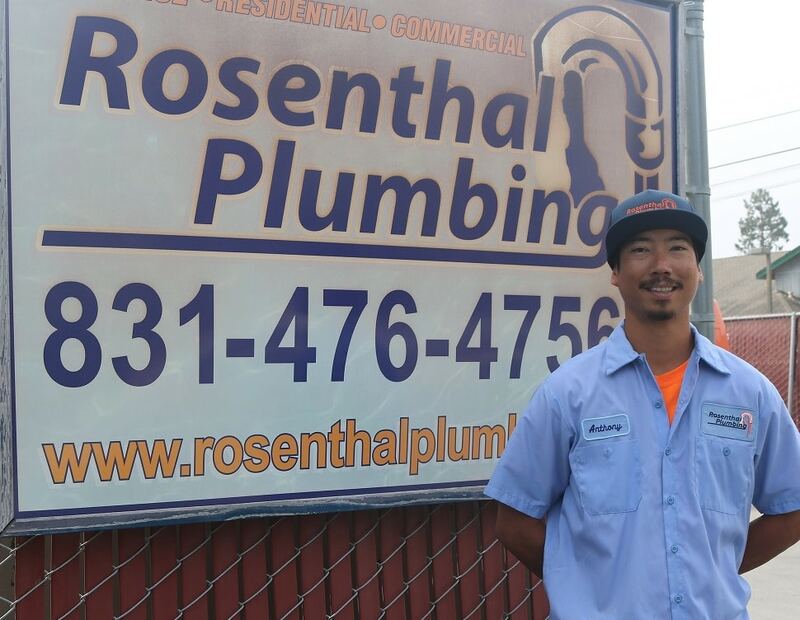 Mike is a lead installer for Rosenthal Plumbing. 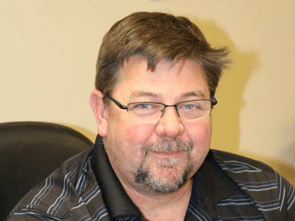 He has been in the plumbing industry for over 18 years. The thing he loves the most about this trade is being able to solve problems. His favorite color is red, and on his free time he enjoys sleeping and eating. 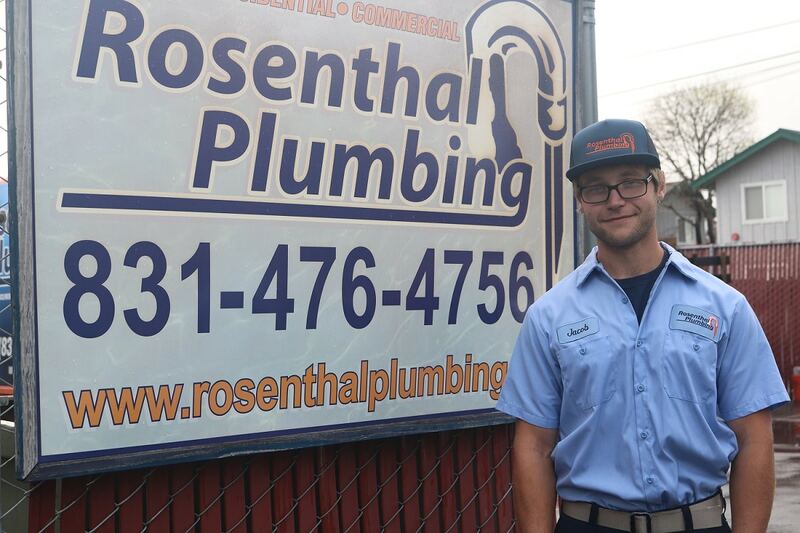 Anthony is an an apprentice at Rosenthal Plumbing. He was in the landscaping business for over 5 years. In his free time he enjoys fishing, disc golfing and fathering his 3 year old daughter. His favorite color is turquoise and his favorite animal is a tiger. Jacob is a Santa Cruz Native. He enjoys fixing things, so the plumbing trade is just perfect for him. He is a fast learner and excited on learning the trade to become a future tech one day. His favorite color is green.